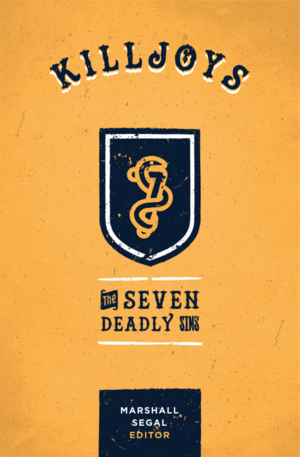 The book ‘The Seven Deadly Sins’ has been authored by a number of theologians from the Christian organization DesiringGod.org: Johnathon Bowers, Ryan Griffith, David Mathis, Jason Meyer, Jonathan Panel, John Piper, Tony Reinke, Joe Rigney and Marshall Segal. They are all either pastors, professors at Bethlehem College and Seminary or writers at DesiringGod.org. We get introduced into the book by a story of an adulterous wife who walks out on her children and her very faithful and loving husband to go and have fun with her lovers. She has been walking out often but this time around they seem really promising and she walks out for good leaving her husband to soak in the pain of abandonment, adultery and serial deception. The wife has spent and overspent the family budget to please another illicit, irrational and imaginary love. However after a couple of years the wife comes into her senses and remembers her husband (couldn’t be said better than in Hosea 2:5-7). On a hot afternoon as the husband is walking down a local park and sees an exhausted, disheveled and desperate woman squeezing every last drop out of a public drinking fountain, and recognizes his one and only wife! The husband takes her back, and re-assures her of His love (Hosea 2:19-20). Pride. It contends for supremacy with God, yet the Bible tells us that God opposes the proud but gives grace to the humble. Humility is its opposite. It masquerades itself in self-exaltation, self-promotion, self-justification, self-degradation, self-demotion and self-condemnation. Our eyes ought to be opened more to God’s glory, to be in awe of Him and ever less in awe of ourselves. Envy. It is covetousness oriented towards neighbor’s possessions or status. Envy follows success, operates close to home (towards those close to us) and involves ‘imitative desire.’ David and Saul is a pair whose relationship was filled with envy, and opposite to that is the relationship between David and Jonathan. We should realize that God’s grace is on us all (1 Cor 15:10) and be filled with gratitude for our blessings and those of others. Anger. It comes out of a threat or in seemingly tough situations that we don’t feel powerful enough to handle. It’s normally out of love, but the question is, what do we love? Human beings are broken lovers and consequentially have inordinate affections; therefore our anger is more often than not out of our own desires for a wrong object. The question to ask when angry is “What do I have to be angry about?’ as Cain and Jonah in different contexts were asked by God when they got angry. Sloth. It’s purely apathy. It comes in majorly three forms: the sluggard, who lives idling around; the workaholic, who labors in an egocentric manner and forgets all of God’s will of work as a means of supporting others; and finally the zombie, who lives a life of distraction and numbness, bored with God. The sluggard should awaken to routines and work in apathy with their neighbors, the workaholic should remember of God’s global mission and be active in the global church and the zombie should be awakened with cosmic enchantment for God, to work towards that good desire. Greed. It’s to desire something in an inappropriate intensity. Greed is idolatry (Col 3:5, Eph 5:5). Its opposite is contentment in Christ. To overcome it we ought to know Christ as our great Possession and be filled with compassion, generosity and sacrifice (Phil 2:6-7). Godliness with contentment is of great gain (1 Tim 6:6-10). Gluttony. It’s food worship expressed in excessive eating and in pharisaical avoidance of the same. It leads us to self-indulgence, as perhaps Eve was tempted into eating the forbidden fruit besides having been given every other fruit of the Garden of Eden. We can overcome this by having freedom in the form of self-control, and ‘glut ourselves on Jesus’ instead. Occasional feasting and fasting and giving thanks before a meal will help us appreciate God’s gift to us in food. Lust. This is inordinate sexual desire that dishonors its object and disregards God (1 Thess 4:1-8). Its opposite is holiness and honor. To men it comes majorly by what we expose our eyes to, and in women it’s majorly through reeks of thought, imagination and desire. We should avoid sights and situations arousing unfitting desire and enjoy a superior satisfaction in Christ. Above all we should always remember that blessed are the pure in heart for they shall see God. The authors have written the book to believers, and to those not yet in the faith it may not have handled the grievous primary sin of simple unbelief – the recognition of which should lead into brokenness before God and into repentance and belief. That aside I highly recommend the book to all Christians desiring to grow in character to a model of Christ that He sets for us.